If browsing in a bookshop is, as I’ve often said before, a kind of dreaming, sifting through the books in a large thrift store is like the lowest dream level in Inception, where the dreams of countless others end up jumbled together without rhyme or reason. (You can also end up stranded there for longer than you expect.) I’m always a little thrilled whenever I wander into a thrift store for the first time, never knowing if I’ll find the sad little collection of ’70s paperbacks at your average Goodwill or an awe-inspiring labyrinth like the one in the late, lamented Ark in Chicago. Browsing in used bookstores always involves some measure of serendipity, an openness to happy accidents, and a thrift store, in particular, is the opposite of a nicely curated experience like that at Barnes & Noble or Amazon: usually frustrating, but sometimes enlightening, both in terms of the specific books you find and for the art of browsing in general. And every now and then, you’ll find something that makes you want to shout: Eureka! One fascinating thing about thrift stores is that you’ll often see patterns in the books on hand, titles that repeatedly appear there and nowhere else, giving you an uncanny glimpse into what our culture’s detritus will look like after we’re gone. Some are easy to understand: Reader’s Digest condensed book collections, obsolete technical manuals or Dummies books, the various editions of What to Expect When You’re Expecting. Then there the novels that large numbers of people bought and then decided, for one reason or another, to give away. Some are the difficult books that followed a big bestseller: I’ll almost always see a copy or two of A Maggot by John Fowles, for instance. Other books that seem to crop up frequently in thrift stores: Bag of Bones by Stephen King, The Bull From the Sea by Marie Renault, Marjorie Morningstar by Herman Wouk. And there’s often an entire shelf’s worth of The Da Vinci Code, neatly lined up like the matching volumes of an exceptionally uninformative encyclopedia. And then there are the unexpected treasures. Even a recent trip to Village Discount Outlet, by far the most chaotic of all Chicago thrift stores, resulted in a vintage copy of The Sesame Street Dictionary, which I’d nostalgically been meaning to pick up for a long time. Before the Ark closed, during a strange acquisitive phase, I picked up two shopping bags of old first editions, including a pristine hardcover copy of The Pillars of the Earth. (Originally, I’d intended to buy these first editions for a few dollars each, then resell them for a profit online. In the end, the math didn’t quite work out, so they’re still in a box at the back of my closet, awaiting their moment of glory.) I even once found a signed and inscribed copy of George S. Kaufman and His Friends by the legendary author and agent Scott Meredith—with a twenty-dollar bill inside. For a long time, this ranked as my most satisfying catch. A few weeks ago, however, I managed to top it. One of the small pleasures of my recent move to Oak Park is that I’m now just a two-minute walk from a branch of the Brown Elephant, one of the Chicago area’s nicest thrift stores. I browse there idly from time to time, and last month, a few days before Thanksgiving, on a shelf near the front of the store, I saw a prize I’d been hoping to find for most of my life: the Compact Edition of the Oxford English Dictionary, in two volumes, complete with magnifying glass. The price? Ninety dollars. But I also knew that the store would be slashing all prices in half on Black Friday. So I waited. And waited. And when the morning after Thanksgiving came, I dropped my parents off at the airport, drove home, lined up in front of the store with the other shoppers, and ran straight for the front shelf when the doors opened. The dictionary was there. Clutching it in my arms, I headed for the cash register, probably elbowing a few old ladies out of the way in the process. I’m looking at it now as I write this. Eureka. Sooner or later, one comes to the painful realization that most books on writing are useless. Most are either written by unknowns, whose advice obviously needs to be taken with a huge grain of salt; critics or teachers who lack practical experience; or famous novelists whose instruction is colored by the irreproducible circumstances of their own good fortune. Success in fiction hinges on so many factors, many of them out of the writer’s hands, that trusting what, say, Janet Evanovich has to say about craft is like chasing performance in investment funds: past performance is no guarantee of future results. What we really need is a book written years ago by a struggling author, in which he laid down some rules on how to write and described as honestly as possible his own methods—only to become famous and acclaimed after the book’s release by following his own advice. And as a matter of fact, this book exists. Earlier this week, in my review of In Time, I briefly mentioned Dean Koontz’s Writing Popular Fiction, which is one of the four or five most useful books on practical storytelling I’ve ever seen. The book has many virtues, but its most interesting quality is completely accidental. Koontz wrote the book in 1972, when he was only twenty-six, and best known as a productive author of short category novels. Within a few years, he’d be famous. Part of the fascination of this book, then, is its candid snapshot of the real work habits of a writer who was about to embark upon one of the successful careers in modern popular fiction. 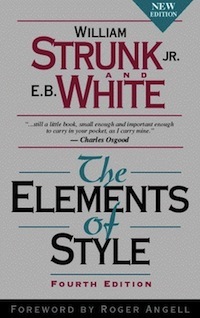 It’s very rare for an author of writing guides to go on to genuine fame—the only other one who comes to mind is J. Michael Straczynski, who wrote a number of screenwriting manuals before creating Babylon 5—so unlike most books on writing, the advice here has been tested, in real time, in the best possible way. If you can produce only one or two category novels a year—especially science fiction, Gothics, mysteries, and fantasies—you will never know a time when the wolves are not a stone’s throw from the door—and you without a stone to throw…Even if you are prolific enough to produce and sell eight or ten novels a year, your income may hold steady at $20,000 a year, which is comfortable but by no means enough to classify you as a nouveau riche. 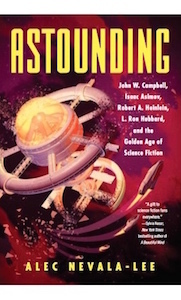 Obviously, things have changed a lot in the past forty years, but part of the book’s appeal lies in its evocation of a time in which category writers like Koontz, Donald Westlake, and Lawrence Block could make a good living on the midlist. Nine years later, after he became famous, Koontz addressed the changing state of publishing in How to Write Best-Selling Fiction, and while this book has its merits as well, it lacks some of the charm of the earlier work. 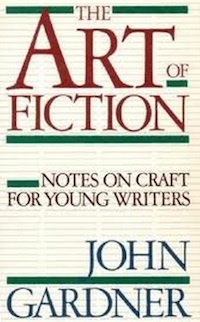 In addition to its considerable practical value, Writing Popular Fiction is one of the best portraits we have of a young genre novelist working at an exciting, if exhausting, time, and I’ve tried to recapture some of that excitement in my own writing life. As I’ve mentioned before, I picked up my copy at a church book sale in my early teens, and it’s been a constant companion ever since. These days, you can find it online for around twenty bucks, and it’s well worth the price. If nothing else, it certainly worked for its author. Does a writer need a coach? He also talks briefly about writing, a field in which most professional practitioners work constantly with coaches, of sorts, in the forms of editors and agents. Maxwell Perkins, the legendary editor at Scribner’s, served as a coach for such authors as Fitzgerald, Hemingway, and Wolfe, while in science fiction, John W. Campbell played an important coaching role for Isaac Asimov. The agent Scott Meredith performed a similar function for many of his clients. And many writers have had less formal, but equally important, mentors throughout their careers: Hemingway and Gertrude Stein, T.S. Eliot and Ezra Pound. And like coaches in other professions, their function is less to teach the basics of the craft than to shape and guide the work of others once a certain level of expertise has been reached. I’ve certainly benefited from coaches of all kinds. I’ve had two literary agents, and while my first such partnership didn’t end particularly well, the process of taking a huge novel and stripping it down to its constituent parts was one of the most valuable, if painful, educations I’ve ever received. My current agent also put me through the paces for the early drafts of The Icon Thief, which was taken apart and reassembled in ways that allowed me to write the sequel, City of Exiles, in record time. I’ve also learned a lot from my editor, and from the many readers, formal and informal, who have offered me advice over the years. Some, like Stanley Schmidt at Analog, have done so in a professional capacity, while others have simply served as what Gawande calls “outside ears,” giving me valuable perspectives on work that I can no longer evaluate on my own. The newspapers once published a story about a noted psychologist, and quoted him as saying that the four words that most easily arouse emotion in Americans are Lincoln, mother, doctor, and dog. This news fired the imagination of one young writer, who immediately wrote a story and topped it with what he described as the most ideal title of all time: Lincoln’s Mother’s Doctor’s Dog. 2. Recycled hardcover journals from Ex Libris Anonymous ($13). These book journals—which are created from vintage hardcovers, with a few pages from the original book thoughtfully distributed throughout—are among the most beautiful and sensible gifts that a writer can receive. My first Ex Libris notebook, created from a copy of Thomas B. Costain’s Magnificent Century, has served me well for years now, and includes notes, mind maps, and miscellaneous scribbles for three novels, two screenplays, and a handful of short stories. Once the pages run out, I’ll be switching to a notebook made from Tatsuo Ishimoto’s Art of the Japanese Garden, which I’m hoping will last for just as long. 5. The Writer’s Chapbook by The Paris Review ($10 or so). This wonderful book, edited by George Plimpton from the legendary author interviews conducted by The Paris Review, seems to be out of print, but it’s still widely available online. All things considered, it’s probably the single most useful and inspiring book a writer can own. (Many of my Quotes of the Day have this book as their ultimate source.) Other good books for a writer, aside from John Gardner’s essential Art of Fiction and On Becoming a Novelist, include Writing to Sell by Scott Meredith (apparently out of print, but very useful), How Fiction Works by James Wood (infuriating, but invaluable), and How to Write Best-Selling Fiction by Dean Koontz (also out of print, but available online for a whopping $88). Finally, if all else fails, there’s always another option. At best, writers tend to be rich in spirit and poor in cash. Most will happily accept donations toward the advancement of art.